Like all Dutch municipalities, the municipality of Amsterdam is governed by a mayor (burgemeester), aldermen (wethouders), and the municipal council (gemeenteraad). But unlike most Dutch cities, the Municipality of Amsterdam is also divided into seven boroughs — stadsdelen (Literally: city parts. Singular: stadsdeel). These boroughs are responsible for many administrative activities that previously had been run by the municipality. The idea behind the boroughs, which were formed in the 1980s, is that they bring government closer to the people. Thus each borough has its own administrative committee, chosen by popular election by the inhabitants of each respective district. Decisions affecting the borough are made at a local level, while issues that affect the whole city are handled by the central city council. Amsterdam City Council has now voted to abolish the seven administrative committees. They will be replaced by non-elected officials appointed by the central City Council, and advised by 22 committees made up of local representatives. The decision to centralice control over the boroughs was made in response to a report in which former national ombudsman Alex Brenninkmeijer concluded that political divisions and power struggles damaged democracy in the city. Local borough offices also handle such things as permits, registration, marriage certificates etcetera. The city long had 14 stadsdelen, but that number was reduced to seven as of May 1, 2010. One reason for doing so was to curtail costs. For instance, 7 local city halls cost less than 14 city halls. Other reasons were the prospect of strengthening partnerships and the creation of smoother-running administrative systems. The city center, including medieval Amsterdam with its ‘Old Side’ and ‘New Side’. It covers just 8 km² and includes 81,000 residents. Here you’ll find the world-famous canal belt, the ever-popular Jordaan district, and the infamous Red Light District. Separated from the rest of Amsterdam by the river IJ, North (Dutch: Noord) was long nothing more than a bedroom community. Most Amsterdammers who lived below the river often said they wouldn’t want to the caught dead in North. Tourists and locals alike generally ignored the beautiful countryside this district has to offer. Nowadays, North is a hot spot for artists and creative businesses — from advertising firms to internet moguls, and for companies ranging from MTV to Red Bull. As the city grows and the need for housing increases, North has over the past decade or so, turned into the place to be. This is aided by the fact that there has been much re-purposing and redeveloping of property along the banks of the river. In recent years more and more tourists have been discovering North as well, for its architecture, its countryside, and its festivals. Amsterdam North is 64 km² in size. It is home to approximately 87,000 residents. The district is connected to Amsterdam center by the IJ-Tunnel. The A-10 circular freeway around Amsterdam passes through the Coentunnel in the West and the Zeeburgertunnel in the East. Close to the Zeeburgertunnel Amsterdam-North is also connected to Amsterdam-Oost bij the Schellingwouderbrug (bridge). A number of free ferries transport pedestrians and folks traveling on bikes, scooters or mopeds. Currently (2015) there are plans to look at the possibility of building two bridges for bikes and pedestrians. Amsterdam-Oost (East) combines the former districts Zeeburg and Oost-Watergraafsmeer. The size of the new district is 31 km² and is home to approximately 112,000 residents. It sports a rich diversity of cultures and lifestyles. There’s a mixture of social housing and beautiful apartments, as well as the new and still controversial IJburg neighborhood — on a man-made island in the IJ. The eastern harbor area has seen a metamorphosis and is now an urban district with some of Amsterdam’s most modern architecture, interspersed with renovated former warehouses. The City of Amsterdam and its tourist board has been trying to encourage tourists to visit this area, and with good reason. It is one of Amsterdam’s most diverse districts. Rooftop yoga at @volkshotel was so choice ? Amsterdammers have strong opinions regarding Zuidoost. How strong? Well, many would rather be caught dead in Noord rather than in Zuidoost. For a long time this was a troubled neighborhood, in large part because it was home to the infamous Bijlmer housing project. Originally intended to be a prime example of a master-planned community, this labyrinthine development — far removed from the city proper — became known for its high crime rate. In the past decade a radical renovation process has humanized the Bijlmer, with a good measure of success. Most of the huge, lengthy high-rise building were torn down and replaced by smaller, friendlier-looking units. Zuidoost is a culturally diverse area that includes some 200(!) African churches, as well as the Arena, the home stadium of AFC Ajax. From Central Station it takes about 20 minutes to get here by subway. Zuidoost includes the Amsterdam Arena and the music venue Ziggo Dome. Amsterdam-Zuid (South) combines former districts Oud-Zuid and Zuideramstel. The size of the new district is 17 km² and is home to approximately 132,000 residents. Oud-Zuid includes what is known as Amsterdam’s ‘posh’ district. At its center is the P.C. Hooftstraat, with its expensive designer stores. Tourist brochures like to market this area as the museum quarter, since such top museums as the Van Gogh Museum, the Rijksmuseum and the Stedelijk Museum are located here. The popular Vondelpark is located in the former Oud-Zuid district as well. 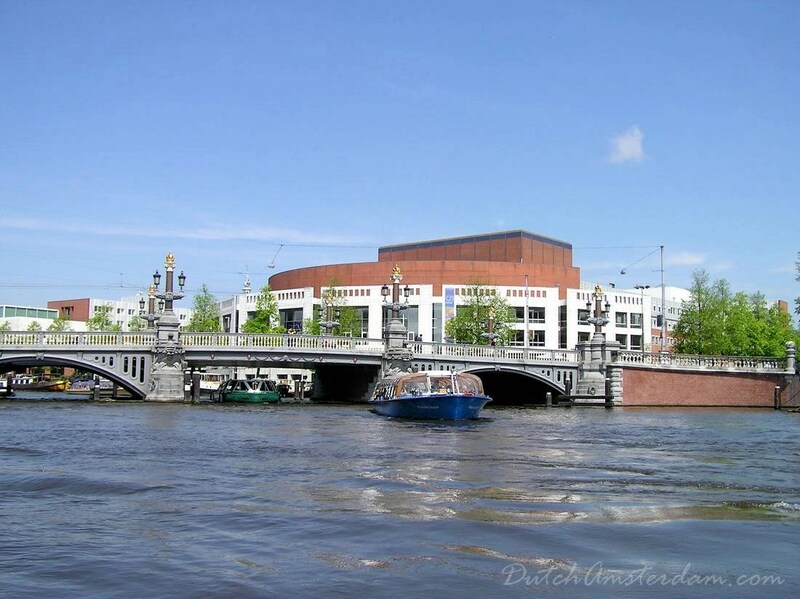 You’ll find many parks in the former Zuideramstel, as well as the RAI Convention Center. Zuidas (literally ‘Southern Axis’) is a major new development zone in this district. Over the coming years, 270 hectares will be converted into a new urban centre devoted to international commerce and knowledge development. Some four hundred companies, many leading multinationals, have already opted to locate in the district. Zuidas is also home to one of the Netherlands’ largest universities and its academic teaching hospital, the VU Medical Center. Amsterdam-West combines the former districts Westerpark, Oud-West, De Baarsjes and Bos en Lommer. The size of the new district is 10 km² and it is home to 130,000 people. The area formerly known as Oud-West is popular for its proximity to Vondelpark, Leidseplein, Jordaan and the city center. It includes a good selection of restaurants and shops. The old Westerpark is slowly transforming itself into a popular spot for entertainment, centered around the recently renovated Westerpark after which it was named. Next to the park is a former gas factory that is now a cultural venue. De Baarsjes was built almost exclusively in the style of the ‘Amsterdam School.’ Aside from some clubs, like Marcanti and Club 8,’ it does not have much to offer visitors. Bos and Lommer literally means forest and plants. West is home to 127 of the 177 nationalities represented in Amsterdam. It is mainly a residential area. Amsterdam Nieuw-West (New West) combines former districts Geuzenveld-Slotermeer, Osdorp and Slotervaart. The size of the new district is 32 km² and houses approximately 133,000 residents. These suburbs are known as garden cities, because they were planned with more space for greenery than was the case in older districts. There isn’t much here to draw tourists. While techically Westpoort is a stadsdeel it does not really function like one. It includes the Port of Amsterdam, as well as industrial and office areas. With an area of over 35 square kilometers it is one of the three largest industrial estates in the Netherlands. The municipality refers to Westpoort as the economic engine of Amsterdam. Approximately 2,200 companies are located here. Together they employ 10 per cent of Amsterdam’s workforce. Very few people live in the area. Hence every day over 47,000 employees, 4,000 students and 6,000 visitors commute here. Westpoort does not have its own council, but rather falls under the responsibility of the central municipal council.